The Toyota Sienna which comes in six trim levels in Canada. 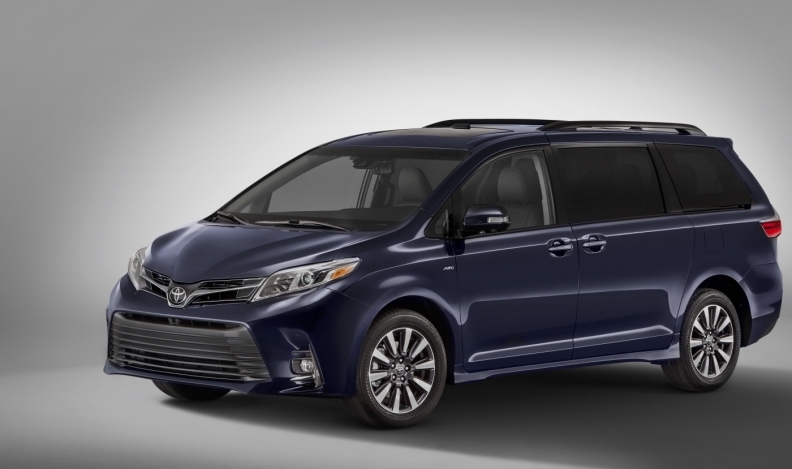 Toyota has made its Entune 3.0 multimedia system standard equipment in its 2018 Toyota Sienna minivan, which comes in six trim levels in Canada and starts at $36,475, including shipping, for the seven-passenger base model. Toyota is the only major automaker that doesn't offer Apple CarPlay or Android Auto, and so it is stepping up its game with some new tricks to keep buyers from pining too much for the smartphone-driven systems and interfaces. Entune App Suite Connect provides drivers with access to traffic information, weather, Slacker, Yelp, sports and stock market results, fuel prices and more, while Scout GPS Link delivers smartphone-based navigation tools. Toyota insists Entune is a better alternative for the brand and replicates many of the features and applications in the Apple and Google products, but with better integration. 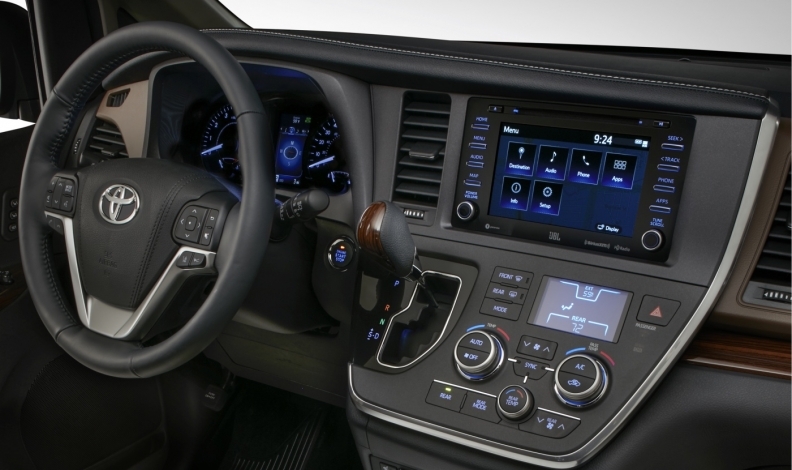 Toyota insists that using its own infotainment system and suite of apps makes it more secure. The 2018 Sienna will also make all-wheel drive standard on the LE and XLE seven-passenger trim levels, which start at $42,675 and $47,875, respectively and including shipping. The eight-passenger LE starts at $39,875; the eight-passenger SE starts at $43,375; and the seven-passenger Limited is priced from $52,475. All prices include shipping. Every model is also equipped with the Toyota Safety Sense P. bundle, which includes a pre-collision system with pedestrian detection, lane departure alert with steering assist and dynamic radar cruise control. All models are built around a 296-hp 3.5L six-cylinder engine and eight-speed automatic transmission. The 2018 Toyota Sienna is now on sale at Toyota dealers across Canada.